The interbank money market will this week, receive inflow of N608 billion from maturing treasury bills, aggravating the excess liquidity which prompted cost of funds to fall last week. 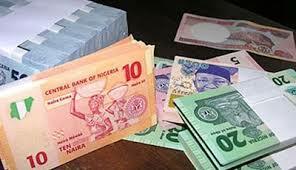 Last week, the market enjoyed inflow of N400 billion from matured Open Market Operation, OMO, treasury bills. As a result market liquidity absorbed the liquidity mop of N315.33 billion by the Central Bank of Nigeria, CBN, through OMO bills. The Manufacturers Association of Nigeria (MAN) was established in May, 1971 as a company limited by guarantee. The establishment of the Association was motivated by the desire to have a focal point of communication and consultation between industry on the one hand, and the government and general public on the other. Hitherto, there was no institutional organ whose central focus was to give meaning to the interests, problems and aspirations of the manufacturing sector. © Copyright MAN 2017. All Rights Reserved.